Susan Kusel is the librarian at Temple Rodef Shalom in Falls Church, Virginia, the children’s book buyer and selector for [words] bookstore in Maplewood, New Jersey and the owner of Dream On Books, a book consulting company. She has served on numerous award committees, including the 2015 Caldecott Medal selection committee and is the past chair of the Sydney Taylor Book Award committee. 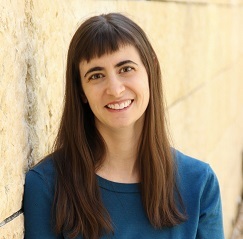 Her debut picture book The Passover Guest will be published in Spring 2020 with Neal Porter Books/Holiday House.